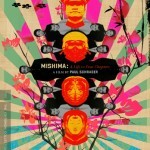 CINELATION | Movie Reviews by Christopher Beaubien | Criterion has BRAND UPON THE BRAIN! Written by Christopher Beaubien • May 20, 2008 • Start the Discussion! 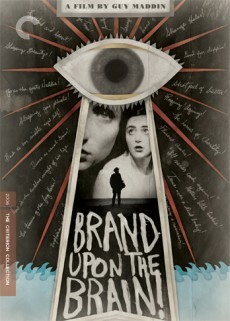 The Criterion Collection, always a class act, is releasing the DVD (#440) of Brand Upon The Brain! (2007) by cult Canadian filmmaker Guy Maddin. Brand Upon the Brain! was one of my absolute favorites when given a limited release last year. It was number five on my list of the best films of 2007. Isabella Rossellini (King of the Corner, 2004) takes her madness to overdrive whilst crashing into a basket full of kittens with her vocal narration (“The Past! The Past!!!”). Rossellini is as fearless as when she and Maddin last collaborated on The Saddest Music In The World (2003), where she played a morbid brewery owner who had her legs replaced with prosthetics made of glass and filled with her very own beer. Brand Upon The Brain! is another twisted homage to silent pictures and Luis Bunuel (L’âge d’or, 1930) with Maddin’s stylistic fingerprints smeared all over it. 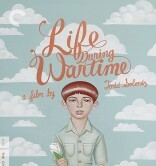 This one is a surreal memoir to Maddin’s childhood where he lives on a remote island with his family. His mother (Gretchen Krich, Henry Fool, 1997) is forever watching young Guy Maddin from her Gothic lighthouse tower with an ungainly periscope. She communicates through a speaker that like deranged gargling. Title Cards stand in for much of the dialogue — “Guy, come home for supper or I’ll sell your island!!”. Maddin’s father stands in as a mad scientist practicing ghoulish experiments in his dungeon. I get so giddy every time I think of “Orphan Nectar”. And it’s much funnier than E. Elias Merhige’s BEGOTTEN (1990)! Special screenings of Brand Upon the Brain! were performed by live orchestras and narration read aloud by either Isabella Rossellini, Crispin Glover (Back to the Future, 1985) Laurie Anderson, John Ashbery, Guy Maddin, Louis Negrin, and Eli Wallach (The Ugly from The Good, The Bad and The Ugly, 1966 AND he was also starred with Rossellini in King of the Corner — See it. It’s really good.). Also included is a new documentary featuring interviews with the director and crew members, deleted scenes, trailer, a new essay by film critic Dennis Lim, and two new Maddin-directed short films: It’s My Mother’s Birthday Today and Footsteps, an oddball featurette behind the making of the Brain!’s sounds effects. The DVD will be released in early August. I can’t wait! The rest of Criterion’s August slate includes Pier Paolo Pasolini’s Salò, or the 120 Days of Sodom (an upgrade of #17, 1975), Michael Powell & Emeric Pressburger’s The Small Back Room (#441, 1949) and Keisuke Kinoshita’s Twenty-hour Eyes (#442, 1954). Some day I’ll brave the gag reflex and watch Salò, and while I’m at it I’ll also see Dusan Makavejev’s Sweet Movie (#390, 1974).